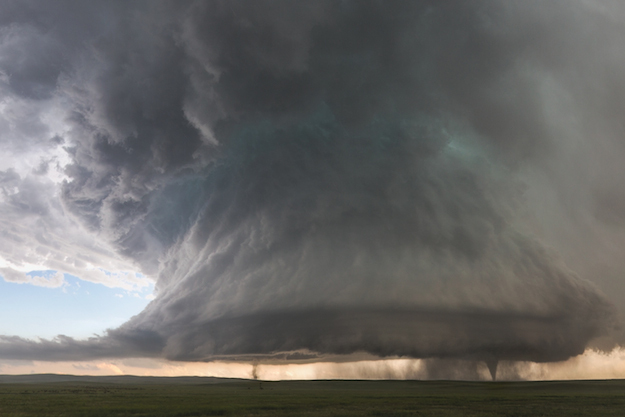 I found the twin tornadoes article (with the awesome picture) just now and I thought, "I would like to show this to the guys (and Rosalie) on the board". I looked for somewhere to post the picture and the link, but I couldn't find a thread that was just for posting interesting, yet non-basketball related stuff. 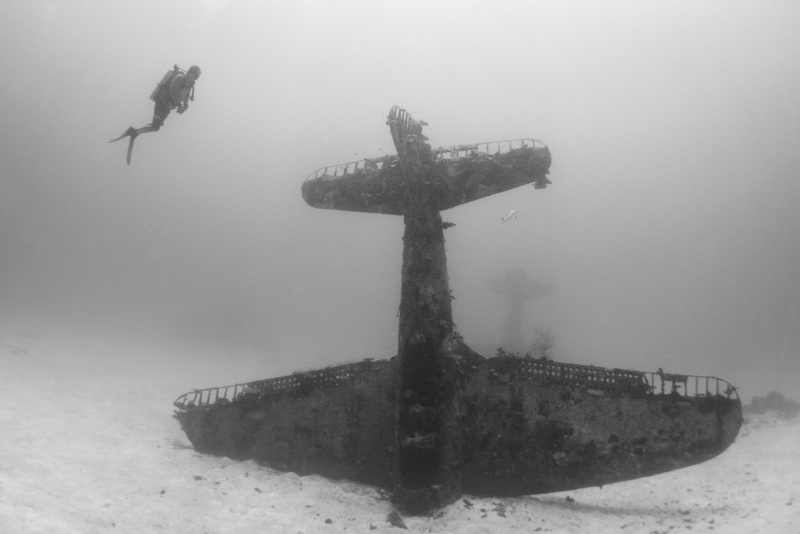 So now, here's a place any that member can post stuff that they find on the internet, stuff that they find interesting (or just awesome) and want to share. The only requirement is that it is non-basketball related. I'll start out with the picture and add the link to the article. Good idea for this thread thank you gyso. I think this thread is a great idea, and I hope it can be expanded (1) to make it a sticky and (2) to include opportunities for members to share information about themselves. (No political or religious proselytizing please.) But I'd prefer to trust your own instincts, gyso. It is still available to post to. It was moved over to this forum when the rest of the under-utilized "Ongoing Threads" were moved over. This purpose of this thread is different, to me anyway. I think it is for interesting stuff found on the internet. So far it is more visual in its presentation, rather than driven by the written word. At least that is how I've used it for the two on-topic posts that I've made. That's not to limit this thread to items that are more visual, that's just how I've used it so far. Anyone can use it however they want, the internet is full of interesting stuff. 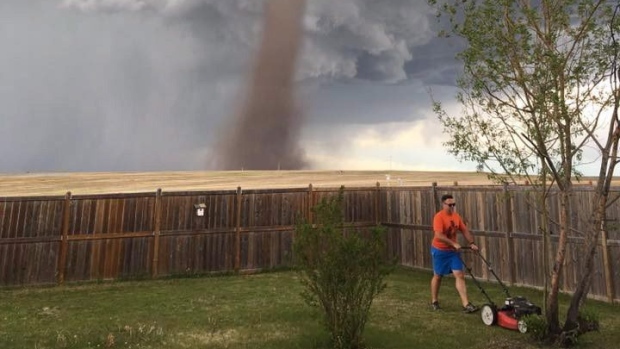 A photo of a man in Alberta mowing a lawn with a tornado swirling behind him has been causing a bit of a storm on social media. Cecilia Wessels snapped the picture of her husband, Theunis, on Friday evening as the twister passed near their home in Three Hills. She says cutting the grass was on her husband's to-do list, and as he started the task, she went for a nap. 'I've never seen anything like that before': Tornado spotted near Three Hills, Alta. There have been no reports of injuries from the tornado, although some other photos show downed trees and a barn with its roof ripped off. 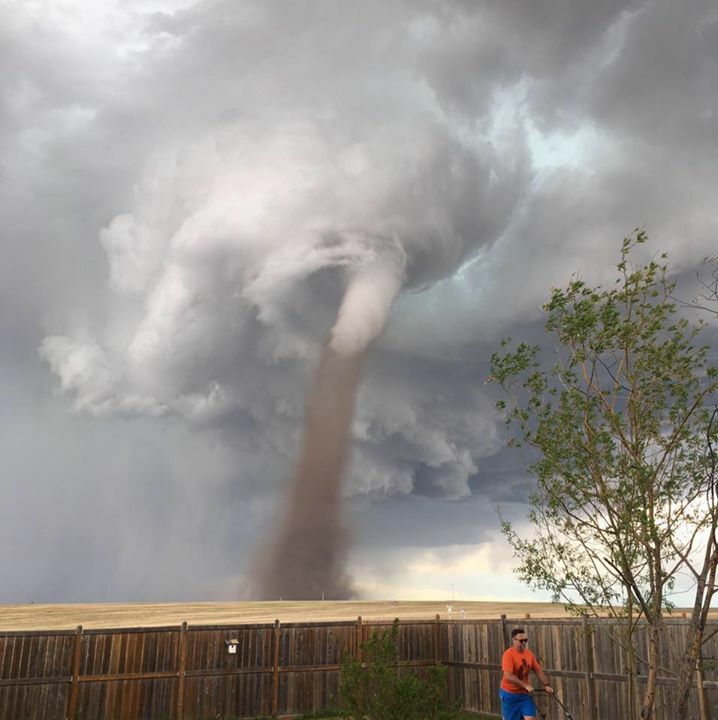 "I literally took the picture to show my mum and dad in South Africa, 'Look there's a tornado,' and now everyone is like, 'Why is your husband mowing the lawn?"' Cecilia Wessels said Saturday. "Our whole street, everyone was on their back patios taking pictures," she added. Both said tornadoes are not common in South Africa, but Theunis said he watched a TV program about storm chasers, so he's familiar with them. The tornado moved away to the east, he said. "It looks much closer if you look in the photo, but it was really far away. Well, not really far, far away, but it was far away from us," he said. So, the question must be asked: Just what does it take to get a Canadian man pumped up? In answer to your final question..............a Molson Export. Surprised he doesn't have a little beer caddie on the handle. Yet another reason to pay someone else to cut the lawn. This will be a most random post but why not. I was digging through my stuff and found a box of collectible cards, its mostly NHL and magic the gathering cards but I also found a box of baseball cards. The baseball cards were from 1989 upper deck high numbers and only name I recognized was Nolan Ryan. it was in original box with the stickers etc at the bottom. The hockey cards are all from between 93-96 or something with a few special cards I remember getting at the time like the martin brodeur rookie card and jeremy roenick rookie card which are from 90 I think. So if somebody themselves or know somebody that they are fans of specific players or whatever that I might have just send me a pm with the info and ill look for it and see what I can find be it teams, players or what not. Better to get it to somebody that is a fan or can appreciate it rather than it just collecting dust here. Oh and to relate it to the celtics I also found a pj brown card from when he played at lousiana tech!